The arts community in Singapore has responded to the death of Mr Lee Kuan Yew by postponing new shows, observing a moment of silence before performances, creating art – and also critiquing the politician and some of the public tributes being made. 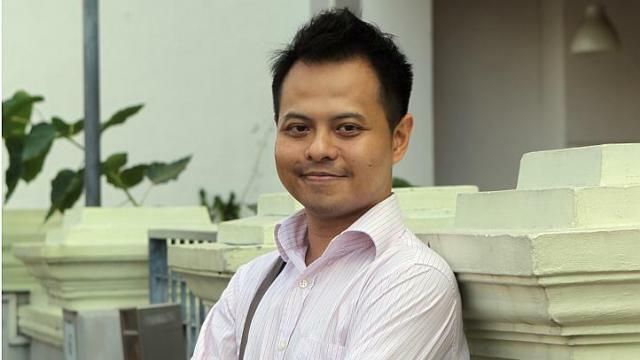 On Wednesday, playwright and poet Alfian Sa’at, 38, posted a satire on his Facebook page condemning what he viewed as exaggerated eulogies that popularise the “fishing village myth” of Singapore, the idea that Mr Lee “conjured gleaming skyscrapers out of a primordial swamp”. In later comments he said he has observed a “historical revisionism free-for-all” this week. He also posted from an article in New Mandala, an online journal of the Australian National University College of Asia, which alleged that Mr Lee distrusted the Malay community. Alfian has long called for greater Malay representation in Parliament and public offices and on Friday wrote in Malay on Facebook that “it is difficult for us who have always been treated like stepchildren to claim we are the children of he who is being glorified”. He also told The Straits Times on Friday that he has since made the posts on his Facebook account private because he has been receiving “both death threats and abuse from people”. Alvin Pang: What have we given up? Other members of the arts community have also been discussing Mr Lee’s legacy on social media. In response to a commentary by former Nominated Member of Parliament Calvin Cheng who criticised the view expressed in the Western media that Singapore had sacrificed certain freedoms to attain wealth and security, poet Alvin Pang wrote on Facebook that Singaporeans must acknowledge the trade-offs that were made to get it to its current position.